HOME > ABOUT US > Announcements > Get BIG! "How can my agency write larger accounts?" We get asked that question a lot and the answer may surprise you. It is not that hard. It just takes patience, conviction and the ability to recognize and seize opportunity. A&M gives you the ability to deliver solutions for your clients' unique exposures. Most brokers can deliver the "off the shelf" coverage. It is in the customized solutions to difficult exposures, which every large account has, that you can stand out from the rest. A&M's experienced underwriters will help you provide the solution to close those larger accounts. (800) 234 6977 x244 or x220 Commercial@amqts.com. We offer a challenge on personal umbrella. If you submit a complete application and we decline to write and you then write the account with someone else, just send us the Dec page and we’ll send you a $25 gift card. 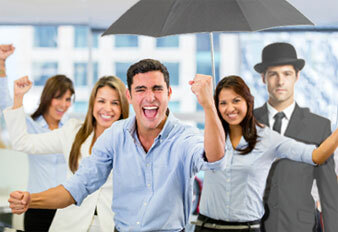 We’ve never had to pay off because we have 4 personal umbrella markets in almost every state. So give it a try, you’ll be a winner. Apply, quote and request binding. High value and difficult-to-place residential properties are a specialty. Placing these risks with A&M will build your local reputation and your revenues. call on your next opportunity. We hope you call us today.